VW, Porsche, Audi put all diesel sales on hold in U.S.
WASHINGTON -- The American arms of Audi, Porsche and Volkswagen have halted sales of 3.0-liter diesel vehicles that the U.S. Environmental Protection Agency (EPA) said contain illegal software to manipulate emissions. The move puts sales of all new Volkswagen Group diesel vehicles on hold in the U.S. market (see chart). VW and Audi models powered by the group’s 2.0-liter diesel have been grounded since late September after the EPA announced the engines contained illegal software to cheat on emissions tests. 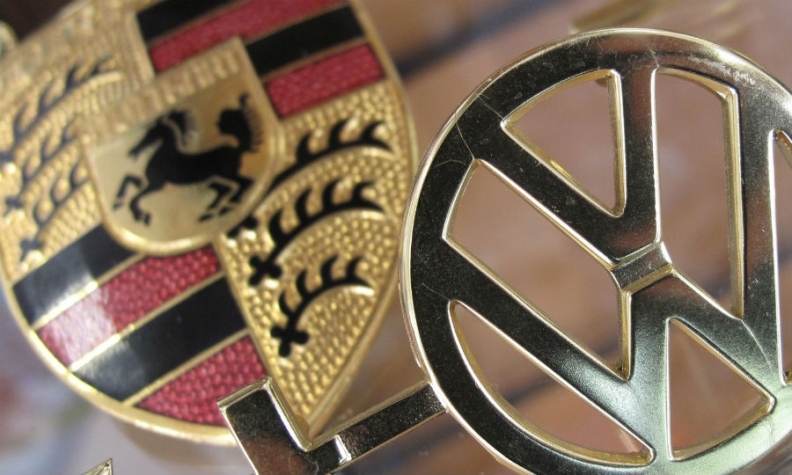 The latest sales halt and EPA charges reflect a widening of VW’s emissions scandal that threatens to impact the VW Group’s illustrious Porsche and Audi brands to a greater degree than seen thus far. The EPA said Monday that a second emissions “defeat device” was found, this time on the 2015 Porsche Cayenne, 2014 VW Touareg, 2016 Audi A6 Quattro, A7 Quattro, A8, A8L, and Q5 models powered by the VW Group’s 3.0-liter diesel engine, which was developed by Audi. Volkswagen Group has denied the EPA’s charges about the 3.0-liter engines, and says it will fully cooperate to resolve the issue. But the charges prompted Audi, VW and Porsche to stop sales of all new models with 3.0-liter TDI engines. Volkswagen, Audi and Porsche have ordered a halt to U.S. sales of models powered by the group's 3.0-liter V-6 diesel engine. Combined with the VW and Audi models powered by the 2.0-liter diesel grounded in September, the company's V-6 TDI suspension has stopped sales of all new diesel models offered by the VW Group, and several model years of certified pre-owned diesels in dealer inventory. Here's a breakdown of the new and used diesel-powered models covered by the stop sales. Gasoline versions of the models below are still on sale. The stop-sale orders by the three brands, issued since late Tuesday, also ground several years’ worth of certified pre-owned diesel models from VW, Audi and Porsche. In addition, the freeze affects diesel nameplates and vehicles from model years that weren’t identified in the EPA’s violation notice Monday, but which use the same version of the 3.0-liter diesel engine alleged to have the illegal software, including the Audi Q7 crossover. VW and Audi spokespersons said expanding the stop-sale beyond models and model years identified by the EPA’s Monday notice was a proactive move, and said the vehicles remain safe and legal to drive. Audi of America spokesman Brad Stertz said the company intends to meet with regulators in the coming weeks to discuss the violations. He emphasized the parent company’s position that the 3.0-liter diesel vehicles do not contain the same cheat software that VW has admitted to installing on 2.0-liter diesel vehicles. The software at issue in the 3.0-liter diesel vehicles is an “auxiliary emissions control device” which the automaker failed to properly disclose to the EPA, Stertz said. In general, such software regulates engine functions in a variety of ways and is legal if properly disclosed and observable on emissions tests, according to the EPA. The agency on Monday said software on the 3.0-liter diesel vehicles activated during a limited portion of the EPA’s test cycle and held nitrogen oxide emissions to permissible levels. In other conditions outside the test cycle, the software was inactive and ran a “normal mode” that yielded NOx emissions up to nine times the level permitted by law.